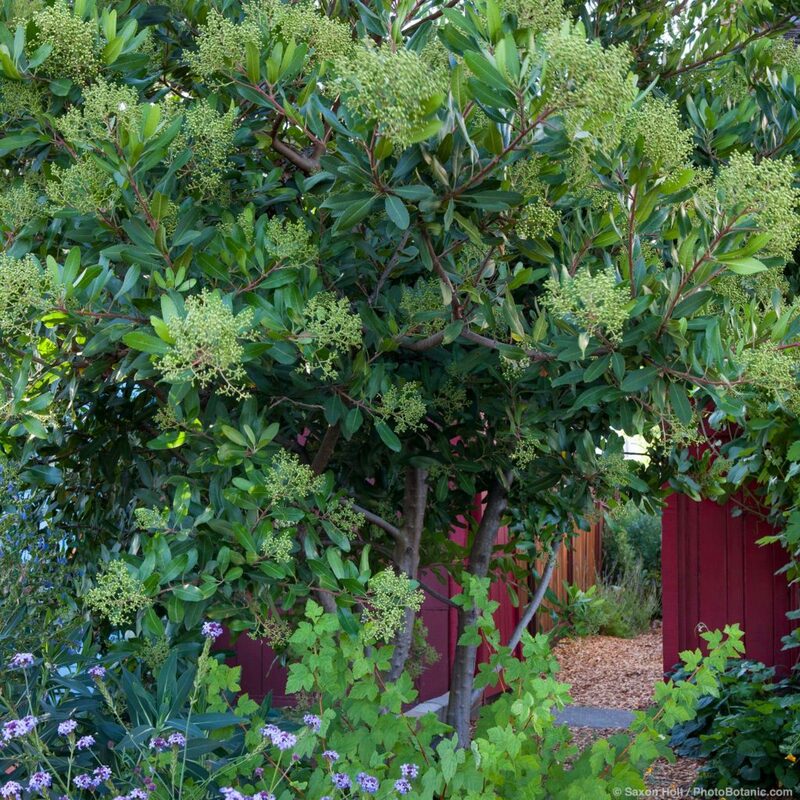 If you have space in your garden for a large shrub or small multi-trunked tree that will live for decades, is attractive year-round, and provides food and shelter for wildlife, you can hardly beat California’s native toyon (Heteromeles arbutifolia) for its resilience, habitat value, and natural beauty. Toyon is native to much of California and survives drought, though occasional deep watering may be needed in the driest times and will bring fresh new growth with quick results. 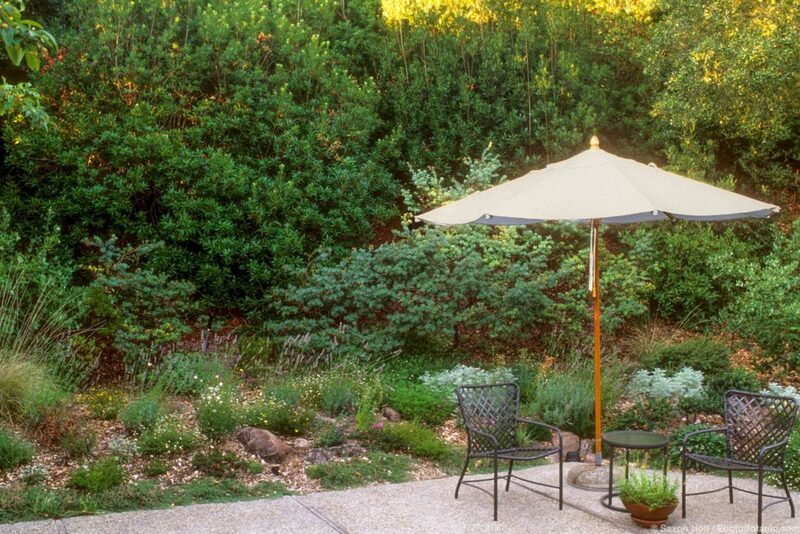 Toyon needs good drainage and thrives in full sun to part shade but tolerates full shade. 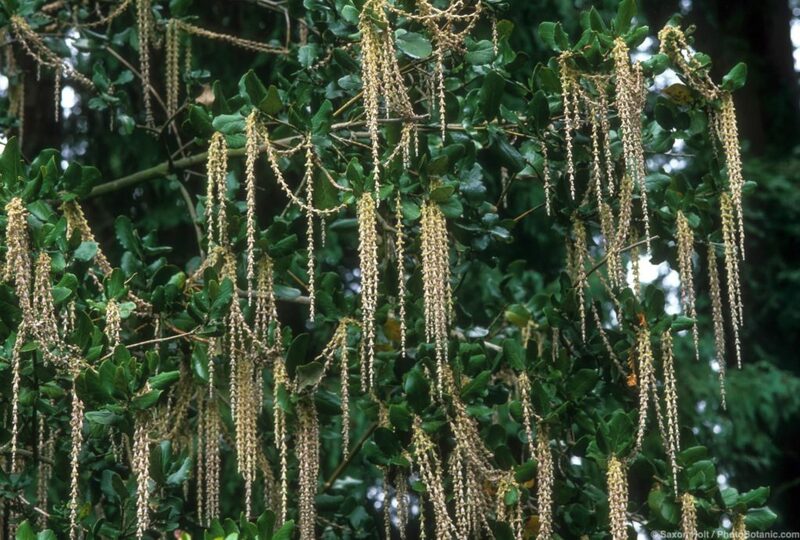 This ten- to fifteen-foot tall by eight- to ten-foot wide evergreen shrub makes a fine screen or specimen plant, handsome at all times of year. The clusters of tiny white summer flowers are attractive to butterflies, and birds love the bright red wintertime berries. Deer will browse the new leaves and may strip leaves up as high as they can reach. Toyon is commonly damaged by fungal leaf diseases, often as a result of poor air circulation. 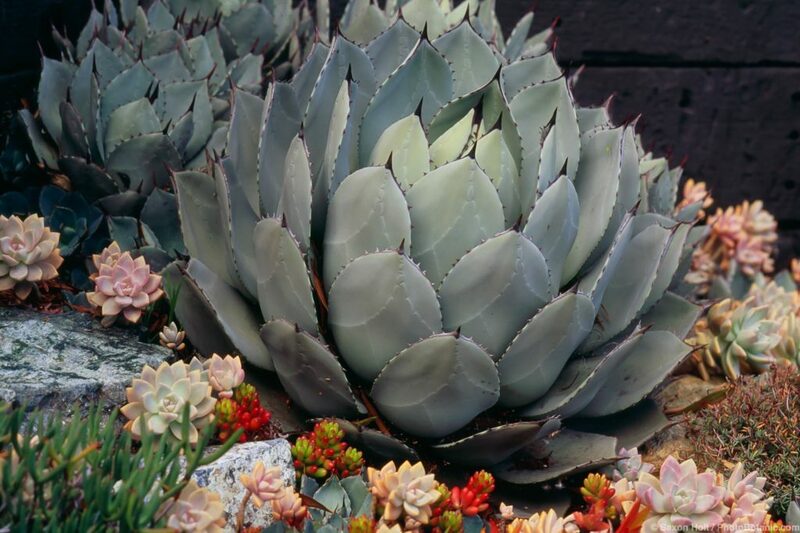 Plants sprout vigorously after cutting back, which produces dense new foliage that is gratifying to the gardener but ultimately may subject the plant to foliar disease. 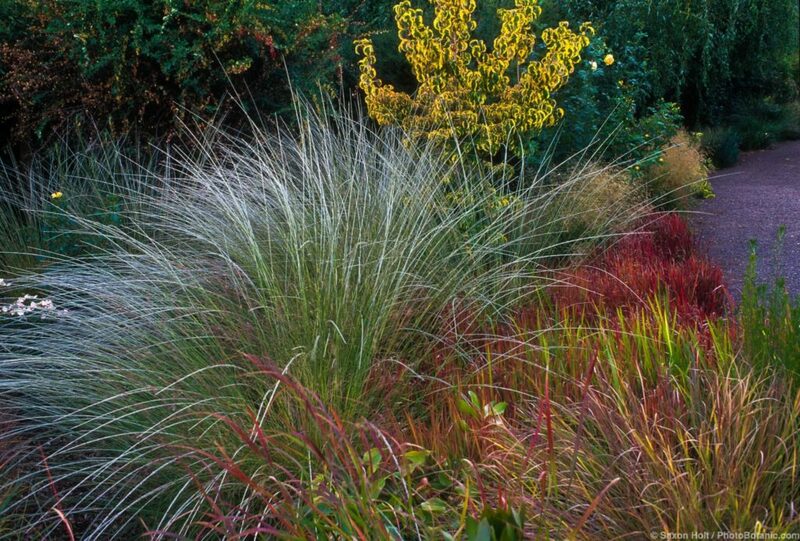 New plants should be spaced at least 8 to 10 feet apart, not crowded by other plants, and never sheared as a hedge or cut back hard without vigilant follow-up to ensure that new growth is not too dense for good air circulation. 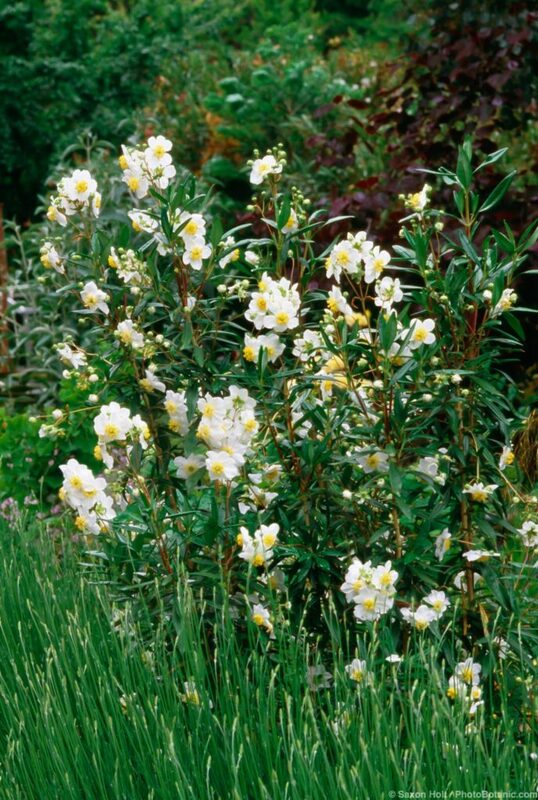 Give toyons plenty of space, prune lightly to shape, plant on mounds or slopes for good drainage and you will have one of the most rewarding evergreen shrubs that California has to offer.